gives smaller watchmakers a reprieve. Consolidation within the watch industry has been hard on smaller watchmakers in recent years. Many of these manufacturers don’t have the resources to produce their own in-house movements, and rely instead on parts and supplies from third party manufacturers. This system worked well for many years until the giant Swatch Group essentially became the only game in town. The trend towards consolidation in the watch industry meant that fewer and fewer watchmakers manufactured their own movements. Instead, they used the components made by the Swatch Group’s ETA division. These movements were affordable and plentiful, since ETA sold components to literally hundreds of smaller companies in addition to manufacturing movements for their own brands. As the Swatch Group continued to grow, it decided to cut back and eventually end the sale of component parts to its competitors. This move was designed to improve profit margins for Swatch and ensure that there would be enough supplies on hand for it’s own brands, which had grown to include familiar names like Longines, Omega, Tissot, and Breguet. The decision to stop selling component parts to competitors was devastating to many smaller watchmakers. It was simply too expensive to manufacture their own components from scratch and there were few alternatives to the ubiquitous ETA movements. Fearing that they might go out of business without a reliable source for critical movement parts, these watchmakers appealed to Weko, the Swiss competition authority, for help. In a recent ruling, Weko agreed that Swatch Group should be allowed to continue it’s gradual reduction in the delivery of finished movements, beginning with another 10 percent reduction in finished movement deliveries in 2014. Weko decided however to restrict further cuts in the deliveries of assortments, the parts that drive the movement: such as the hairspring, balance wheel, anchor and anchor wheel. A Weko spokesman said the commission’s decision was based on the fact that many smaller watchmakers still did not have viable sourcing alternatives for these vital components and might go out of business without them. 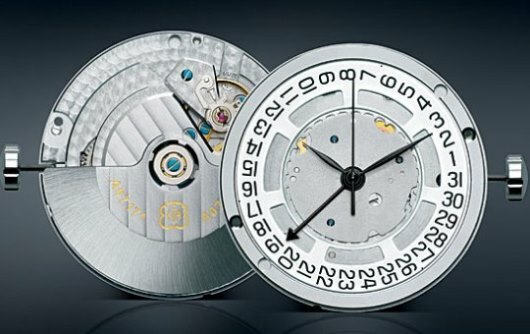 In the long run, these watchmakers are still going to have to find an alternative to ETA movements and parts. The Swatch Group is determined to phase-out the sale of movements and parts to competitors in the years ahead. The Weko ruling provided a reprieve for the watch industry, but only a temporary one. Manufacturers will still need to develop new supplier relationships and perhaps even begin manufacturing their own in-house movements in the years ahead.